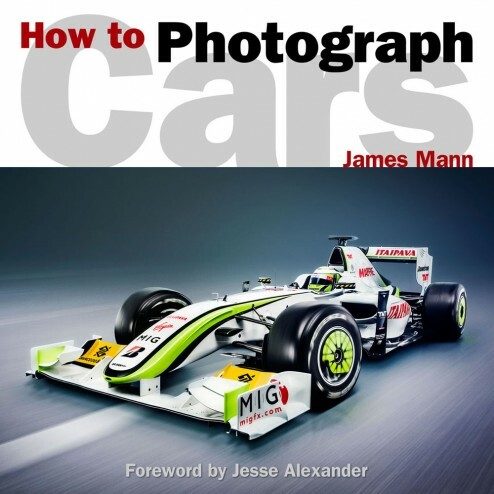 The book takes a practical look at how to shoot outstanding pictures of cars in every situation from studio to location, static and at speed, in an accessible and highly visual style. Featuring many images specially shot to illustrate the techniques described it takes the reader from the basics of choosing the right equipment through to shooting a magazine feature and covers the latest digital technology. 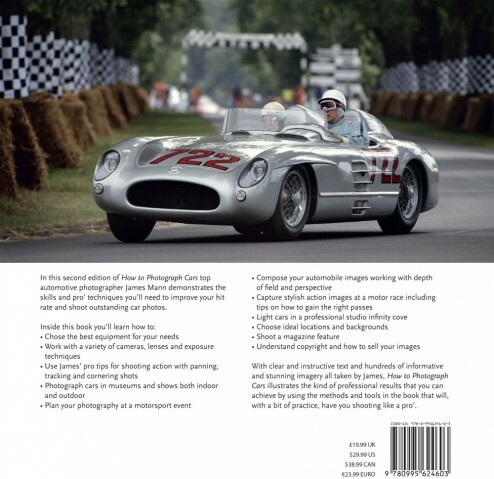 The book is aimed at both new and experienced photographers who are disappointed with their images taken at a club day or at the race track and want some insider tips from a pro' on how to take better pictures. James Mann is a UK based automotive photographer whose work appears in many of the UK’s top car magazines such as Autocar and Classic and Sports Car. As well as shooting for the car industry in Europe his work takes him all over the world photographing cars in exciting locations. The new edition is published by Auto Focus Books the book is available here and from the www.howtophotographcars.co.uk website and at Amazon.co.uk here. Other shipping options may be available.email jim@jamesmann.com to request a quote for expedited or international shipping.